Another incident of a disproportionate police response sadly made headlines on the anniversary of Martin Luther King Jr.’s assassination and the story continued to unfold Thursday morning when news began to circulate that NYC police officers fatally shot a man holding a pipe. Speaking to the press, NYPD Chief of Department Terence Monahan indicated that ten rounds were fired, three of the four involved officers were not in uniform and that none of the officers were wearing body cameras. It is believed that the victim, Saheed Vassel, suffered from bipolar disorder. Local residents explained to news outlets that Vassel was well-known in the neighborhood, and was typically carrying his bible and talking to himself, but generally harmless. One resident, John Fuller went so far as to state that every officer in the neighborhood was so familiar with Vassel that the shooting never should have happened. Saheed Vassel left behind a 15-year-old son. Police brutality needs to stop. 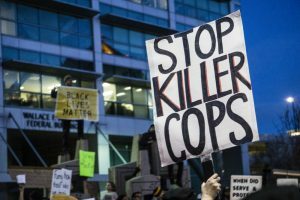 If you or a family member have been impacted by extreme and unnecessary action taken police officers, Action Legal Group can help. Call 877-466-4494 to speak to someone who can help. The original story can be found here.